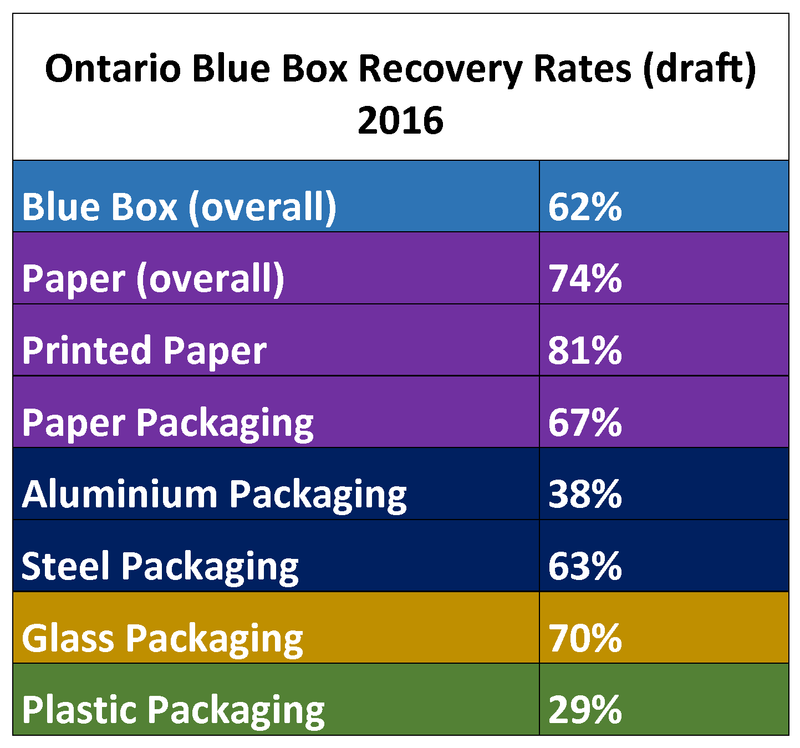 The reported recovery rate of Ontario’s residential Blue Box system has fallen to its lowest level since 2005. The draft recovery rates, to be finalised by Stewardship Ontario in December, show a 2016 recovery rate of 62.4%, down 2% on the previous year. This will make the recent “request” by Ontario’s minister of environment and climate change for a new Blue Box recovery rate of 75% rather interesting. Some 75% of what’s currently being recovered is paper of one kind or another, the same as it was back in 2003. Printed paper (newspapers, magazines and catalogues, telephone books and printing and writing paper) has the highest recovery rate overall (81%), followed by glass packaging (70%), paper packaging (67%) and steel packaging (63%). 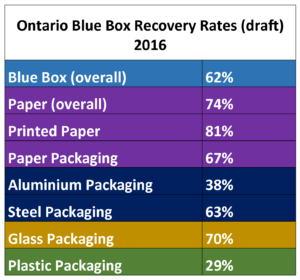 Paper packaging is the only material grouping whose recovery rate has either stayed at the same level or improved in every category (boxboard up 9%), with corrugated boxes again the recovery leader overall at a hard-to-believe 98 per cent. 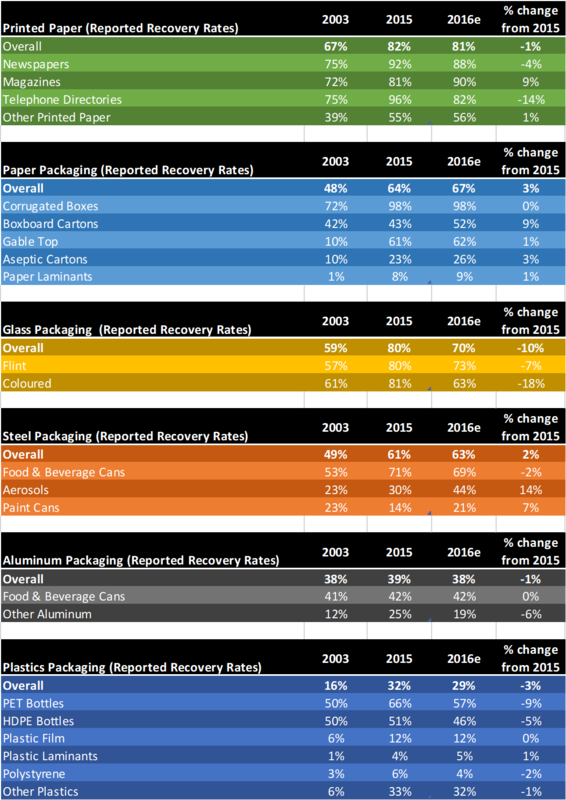 The glass recovery rate has dropped significantly from 2015 but the Blue Box laggards continue to be aluminum and plastics packaging at 38% and 29% recovery respectively. Plastics packaging recovery has gone down in almost every category and now represents 43% of what ends up going to disposal (on a weight basis). It’s also by far the most expensive material to recover (the net cost of recovering plastic film, for example, is listed at $2,646 a tonne). Here are the latest (draft) numbers for 2016 with a comparison to 2015 and way back to 2003.